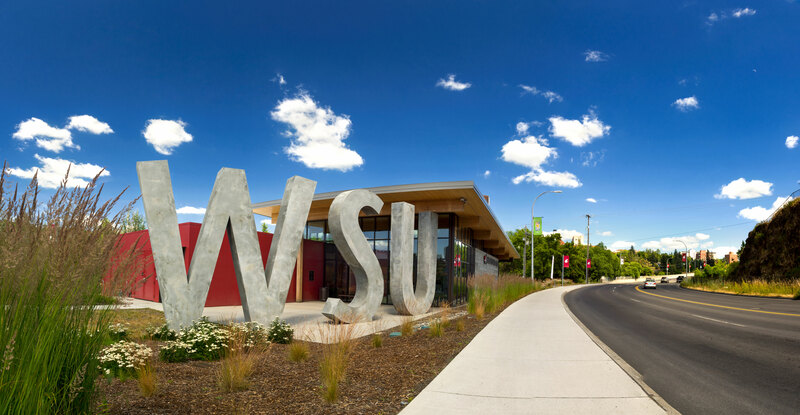 The Northwest Commission on Colleges and Universities evaluation committee concluded its on-site evaluation on April 11, and issued six commendations and three preliminary recommendations for Washington State University. The committee will release its final report in June. Provost Dan Bernardo would like to thank WSU faculty, staff and students for their contributions to the Year Seven Self-Evaluation Report, and a successful accreditation review process. Higher education institutions are accredited by a regional authority. WSU is accredited by the Northwest Commission on Colleges and Universities (NWCCU). Accreditation qualifies institutions and enrolled students for access to federal funds to support teaching, research, and student financial aid. In a multi-year cycle, WSU internally reviews and evaluates the entire institution, analyzing our effectiveness against the NWCCU standards. These criteria are developed and updated by representatives from NWCCU’s membership of more than 160 institutions. The goal of this self-study is to demonstrate how effective we are in fulfilling our mission and the plans that support that mission. The accreditation process is an opportunity for the university to both highlight its areas of excellence and identify areas for improvement. NWCCU is an independent, non-profit membership organization recognized by the U.S. Department of Education (USDoE) and the Council for Higher Education Accreditation (CHEA) as the regional authority on educational quality and institutional effectiveness of higher education institutions in the seven-state Northwest region of Alaska, Idaho, Montana, Nevada, Oregon, Utah, and Washington. It fulfills its mission by establishing accreditation criteria and evaluation procedures by which institutions are reviewed. Many undergraduate and graduate programs maintain specialized/professional accreditation through discipline-specific organizations. See WSU’s list of individually accredited programs by college. The accredited status of a specific program does not extend to other programs in the department or institution.